I was very lucky to get to review these skincare products from Rodan + Fields! 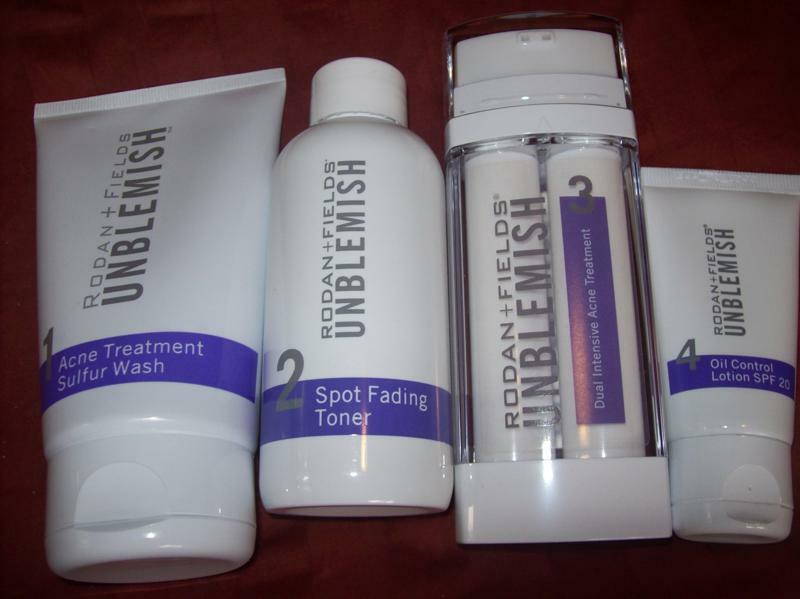 I chose to try the unblemish collection since I thought that that would best suit my skin. Here is some information on the unblemish line: Breakouts? Unpredictable? Unreasonable? Unfair? Take control with our UNBLEMISH Regimen. Clinically proven to combat the entire acne cycle, this sophisticated regimen helps unclog pores, clears breakouts and calms your complexion to keep pimples, blackheads and post-acne marks from making an unwelcome appearance on your face—and in your life. My opinion: This kit is awesome! The last couple of weeks my skin has had it rough. I have been breaking out and my skin has been super dry...yuck! I started using this line about a week ago and it works great. My skin is 90% cleared up and is looking great. How to Buy: You can purchase this whole skin care regimen online for $160 on the Rodan + Fields website. Thanks Rodan + Fields for sharing your great products with me!